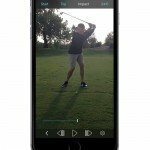 You have read our previous blogs on how to teach for speed ( how to teach for speed blog) and the four ways to work on clubhead speed ( every golfer wants more distance blog ). Today we blog on tempo. It is the quickest way to hit the ball farther as generally speaking your club head speed will increase. If you already have Tour Tempo (3-to-1 ratio and less than 1 second form takeaway to impact), then you probably will not gain a significant amount of speed on the protocol about to follow in this blog. However, if your tempo is not 3-to-1, and you take more than 1.2 seconds of elapsed time from takeaway to impact, then prepare to get blown away. The 2nd (and of utmost importance for this discussion) is the actual clubhead speed (usually measured at impact). These 2 components affect each other. Meaning, that if you pick up the pace of #1, it can increase the speed of #2. So, when golfers come to me asking me how they can swing faster, I tell them to…. The question is “How?” How do you swing faster? The first place to start is to do a Tour Tempo Frame Count. Read for example here how it is done using our App. Count your frames of the backswing and downswing (and I also like to count thru to the finish of the swing as well). Once you have got your frame count, get out your Tour Tempo Micro Player or your Tour Tempo App and play the tones of the next fastest Tempo and Voila! Instant speed increase. Backswing #1 can increase Downswing #2. For example, if your current tempo is 30/8, you should then try 24/8 or even 21/7. It will feel like someone put a red bull in your espresso, or maybe you will feel like you need a red bull in your espresso, but either way, you will need to get moving. When you first try this, the odds are the ball might go places (all over the map) but have no fear, as you repeat it, your body naturally learns the new speed and you start to see consistency…but with more speed! The Body Component of Tempo is ….. A hidden benefit of the faster backswing is the loading of the body. Specifically, when you load the muscles with a quicker tempo they have a tendency to fire with more speed and explosiveness. This is similar to the concept of the stretch shorten cycle. If you load your jumping motion with more speed, you jump higher. So, load up with tempo and this will help you unload with more speed! 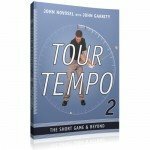 Tour Tempo 2 is a thorough study into the short game tempos used by the world’s best players. It deals with tempo in all aspects of short game play including the bunker play! 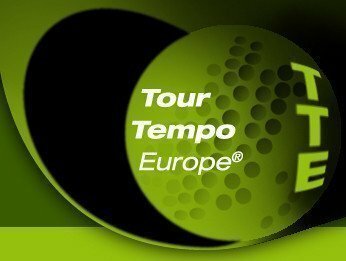 During the Christmas period we sell the Micro Player to come with a FREE copy of Tour Tempo 2 – the Short Game & beyond. Easy to use, self contained, so you can train swing tempo anywhere. The book contains a number of tempo eye-openers. 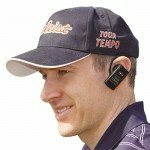 You can order the Micro Player plus book here https://tourtempo.eu/product-category/golf-swing-tempo/ .